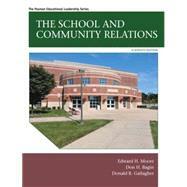 by Moore, Edward H.; Bagin, Don H.; Gallagher, Donald R.
In this widely popular resource, established and aspiring school leaders and executives get solid grounding in the theories and practices essential to promoting successful school and community relations. With a focus on successfully implementing communication activities with critical internal and external audiences, The School and Community Relations guides readers through the theory, research, and practice essential to communication planning. Organized around key communication practices, it stresses the importance of generating communication outcomes that go well beyond the dissemination of information to benefit schools and students. School leaders get practical help for tying their communication investments to developing engaged audiences that will understand and support education initiatives. The authors present their authoritative advice on both communication strategies and tactics, with a focus on new and emerging practices using digital and social media. Their knowledge, examples, and strategies come from their many combined years as educators and practitioners in school systems throughout North America. Edward H. Moore is a Professor in the College of Communication and Creative Arts at Rowan University in Glassboro, New Jersey. Moore started his career as a school public relations practitioner and went on to serve more than 25 years as a public relations counselor, journalist, and educator working with a variety of corporate and educational organizations throughout North America, Europe, and Asia. Moore was managing editor of Communication Briefings, an international communications newsletter, and he previously served as Associate Director of the National School Public Relations Association. He has taught public relations for more than 20 years. He holds an M.A. in school information services from Glassboro, New Jersey, State College, and is accredited in public relations by the Universal Accreditation Board. Dr. Don Bagin founded the graduate program in public relations at Rowan University, where he was a professor of communications and went on to direct that program for more than 30 years. He served as president of the National School Public Relations Association and received the association’s award given to the educator who has contributed the most to improving the relationship between schools and communities. Dr. Bagin was the founding publisher of Communication Briefings, a newsletter read by 250,000 people. During his long career, he wrote eight books and hundreds of articles on public relations. He earned his first two degrees from Villanova University and his doctorate from Temple University. Dr. Don Gallagher’s career included more than 40 years of experience in public relations and communications with the U.S. Navy, two school districts, a community college, and as a professor. He served as a professor at Rowan University, where he coordinated graduate programs there in public relations. He was one of the owners of Communication Briefings, an international communications newsletter. Dr. Gallagher conducted many public opinion polls, published numerous articles, recorded national videotapes and audiotapes, and he gave numerous workshops throughout the United States. A graduate of St. Francis University in Pennsylvania, he earned a master’s from Villanova University and a doctorate from Temple University.